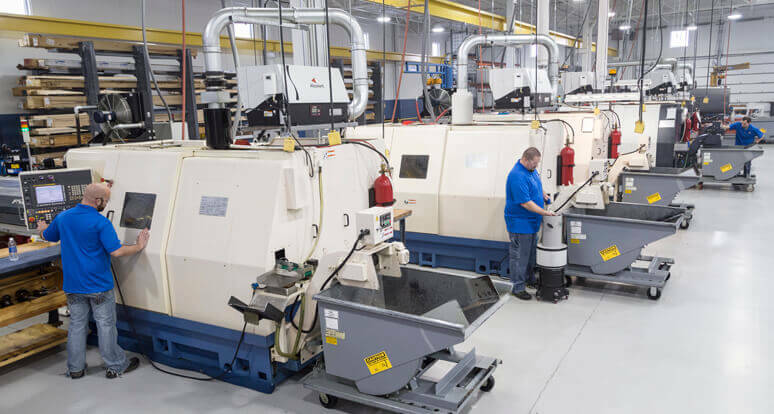 From our Tornos Swiss screw machines to our Tsugami CNC Swiss style lathes and Miyano ABX CNC turret lathes, each has a unique purpose. The Tornos machines are perfect solutions, the very small, yet precise components like firing pins, connector pins and specialty screws. The Tsugami CNC Swiss style lathes expand the opportunities to the limits of your imagination, as long as they are under 1-1/4” in diameter. For work beyond this size, we have our 6 Miyano ABX twin and triple turret CNC lathe for parts up to 2-1/2” in diameter. With over 10 million invested in new production and quality equipment since 2008 we have you well covered for all your precision turning needs.